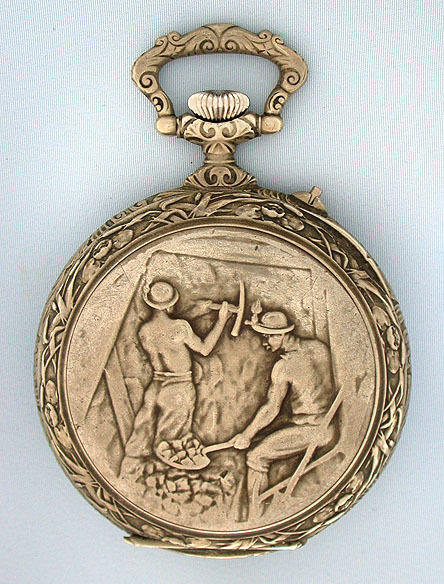 Oversize Swiss nickel antique pocket watch with mining scene on the back circa 1890. 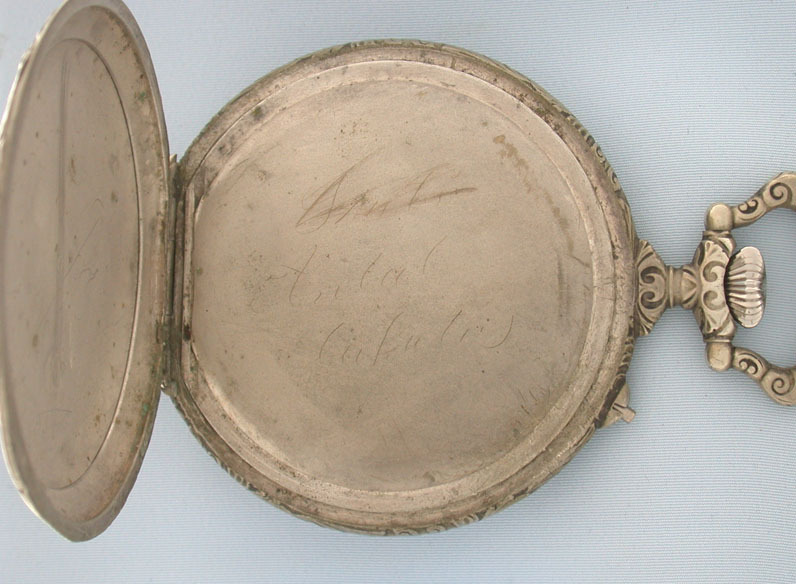 The bezels, pendant and bow heavily decorated. 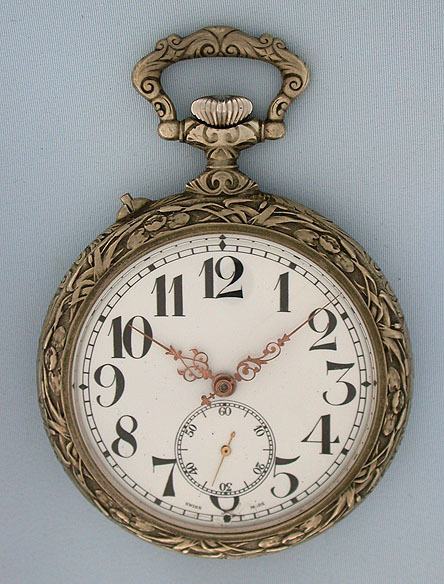 White enamel dial (repair at 6:00) with bold black numerals and fancy gold hands. 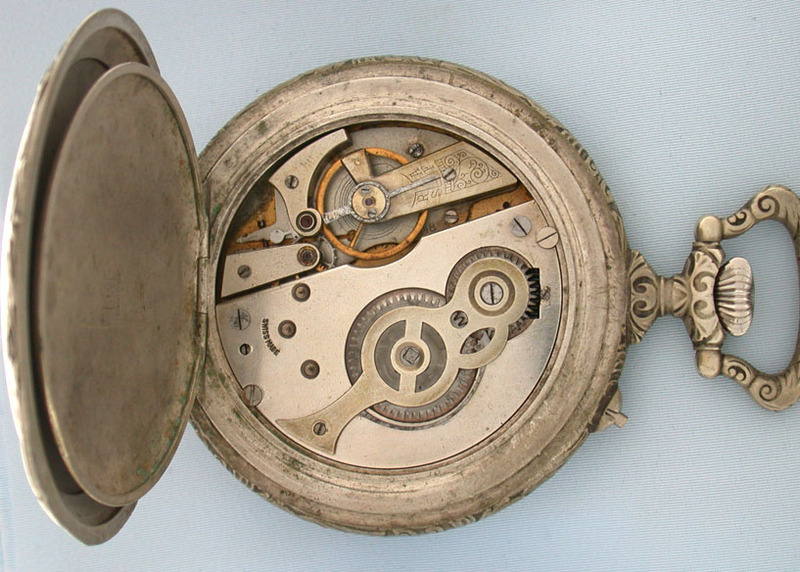 Nickel 9 jewel pinlever movement.